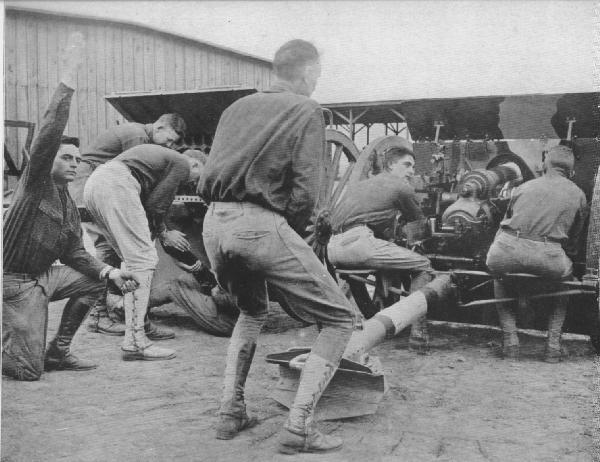 FIRE American artillerymen training at Camp Zachary Taylor, Louisville, Kentucky. The officer in charge is giving the signal "ready" just as the photographer presses the bulb which exposes the plate in his camera. The gun carriages and shields are painted in camouflage designs.